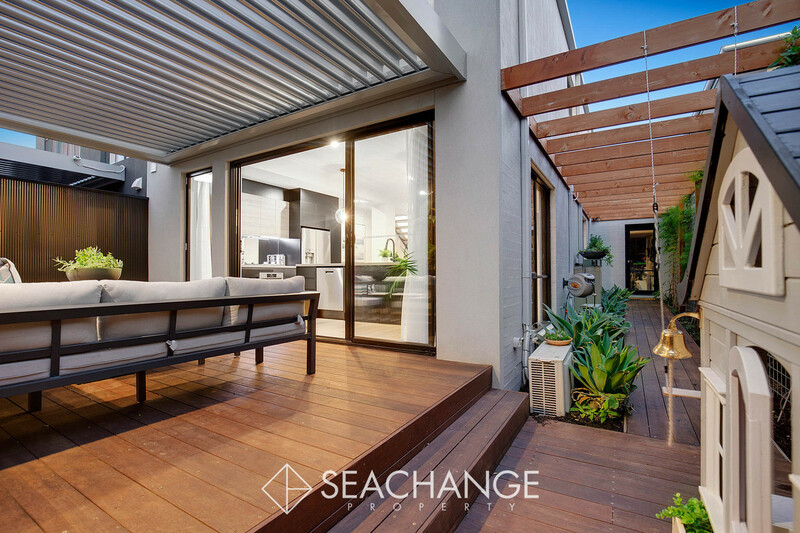 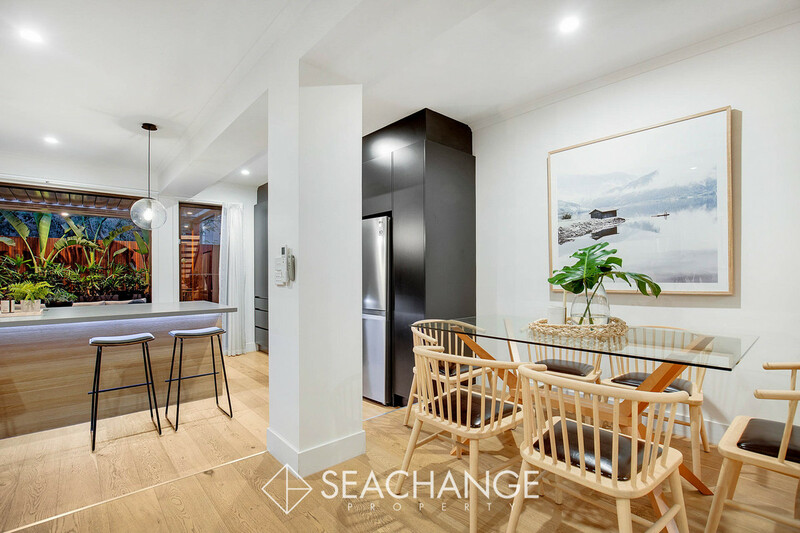 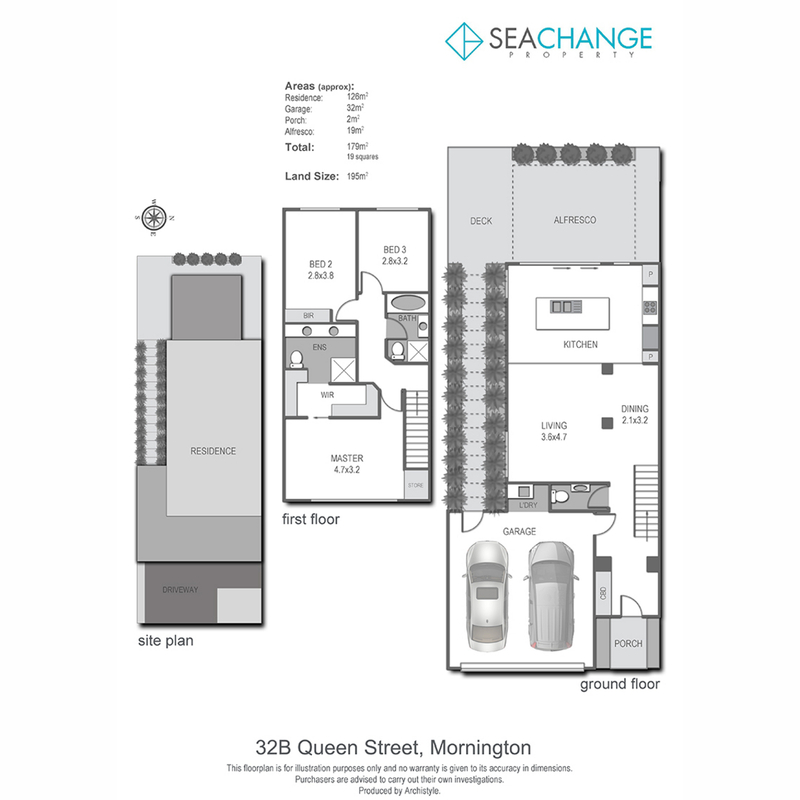 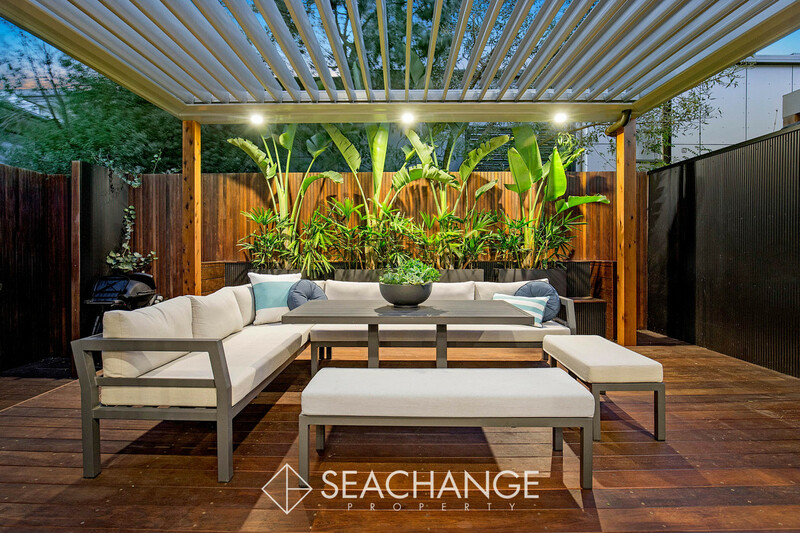 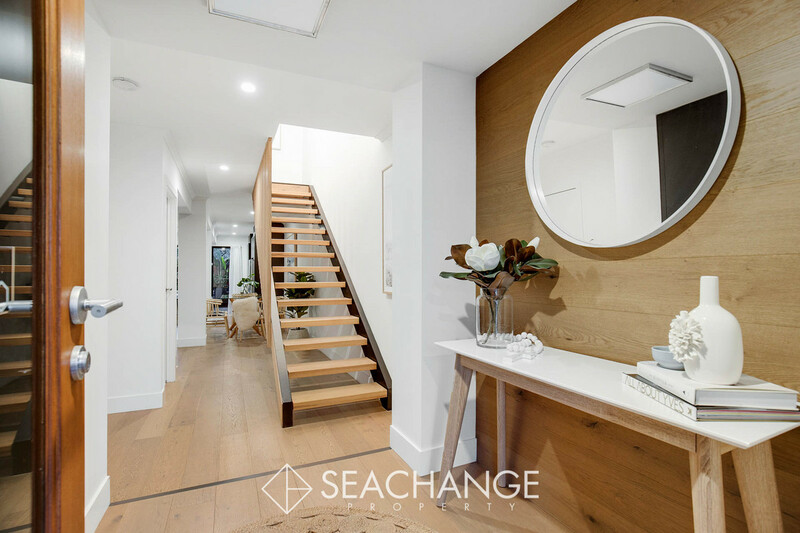 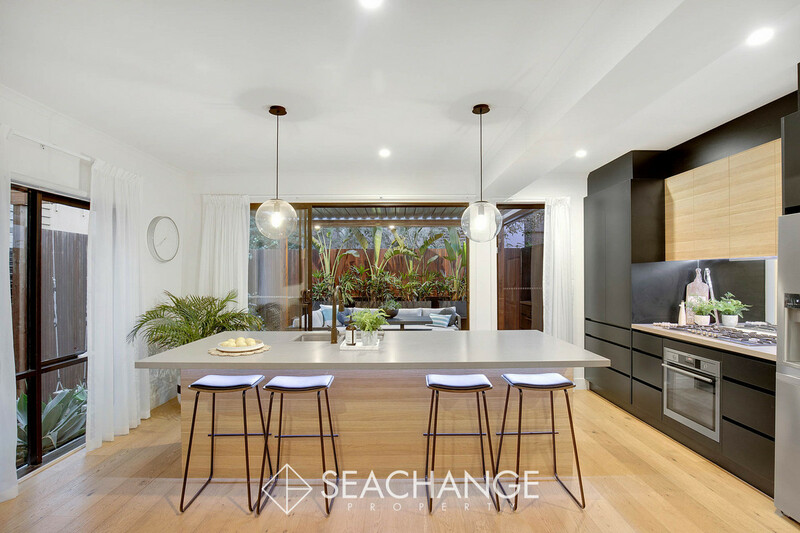 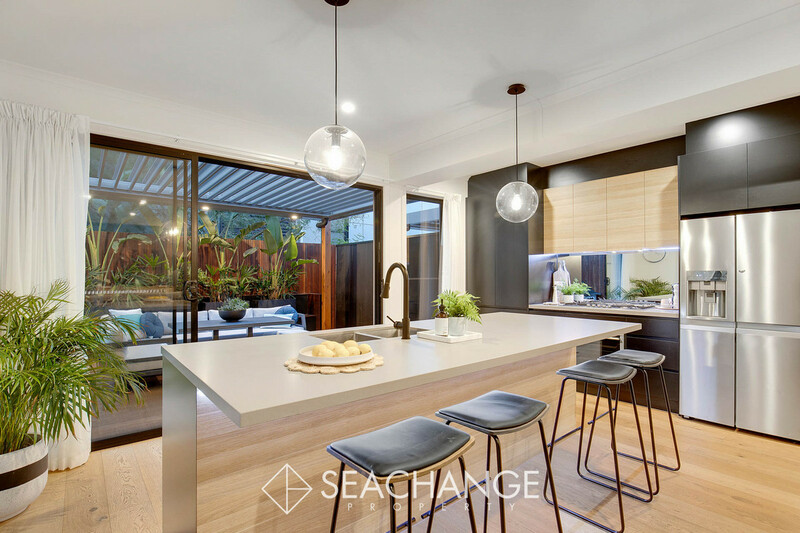 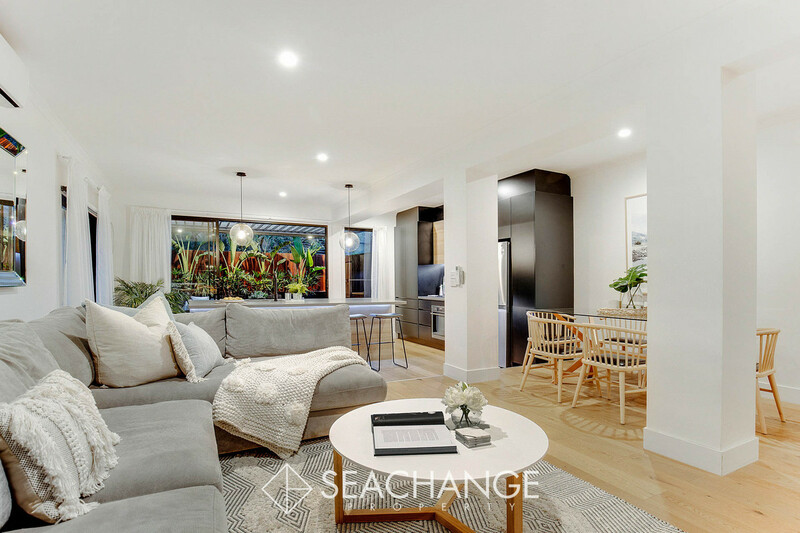 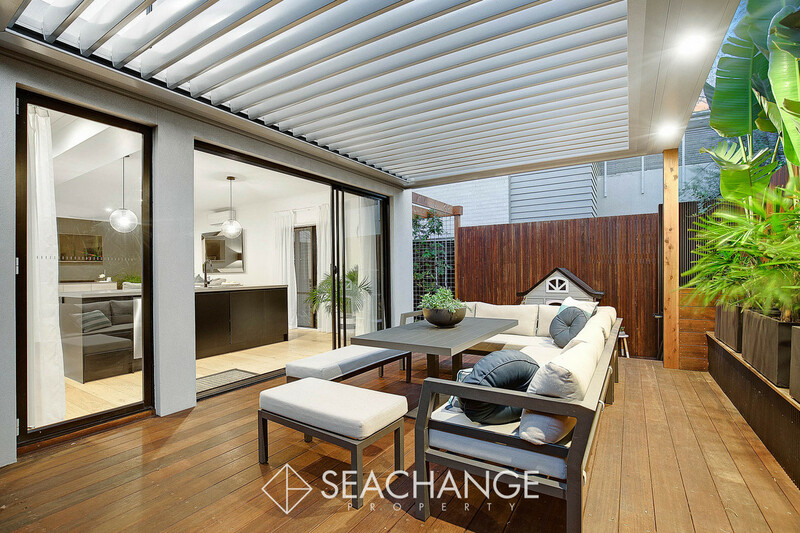 Beachside designer living is redefined within this contemporary town residence, encompassing well-proportioned zoning together with a low-maintenance, vibrant lifestyle. 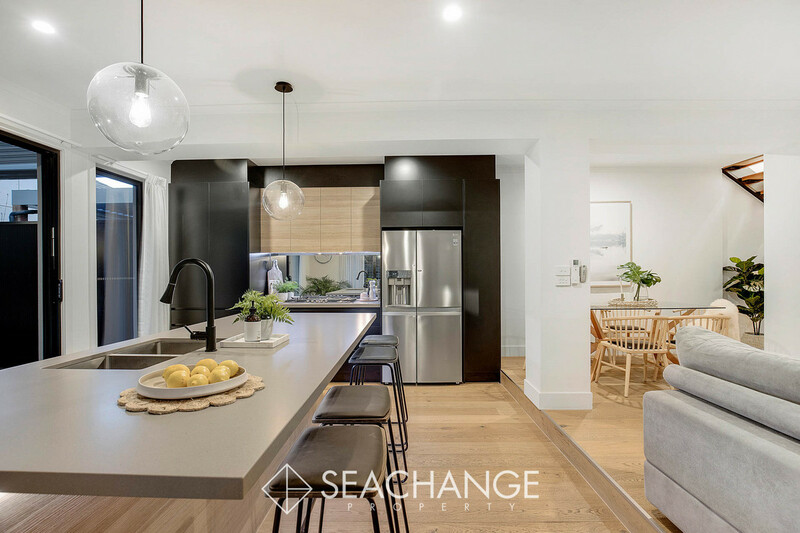 Beautifully spacious with a high calibre finish, enjoying stunning open-plan living and dining complete with a sleek stone kitchen appointed with quality stainless-steel appliances and a vast island bench complete with breakfast bar and unique layout. 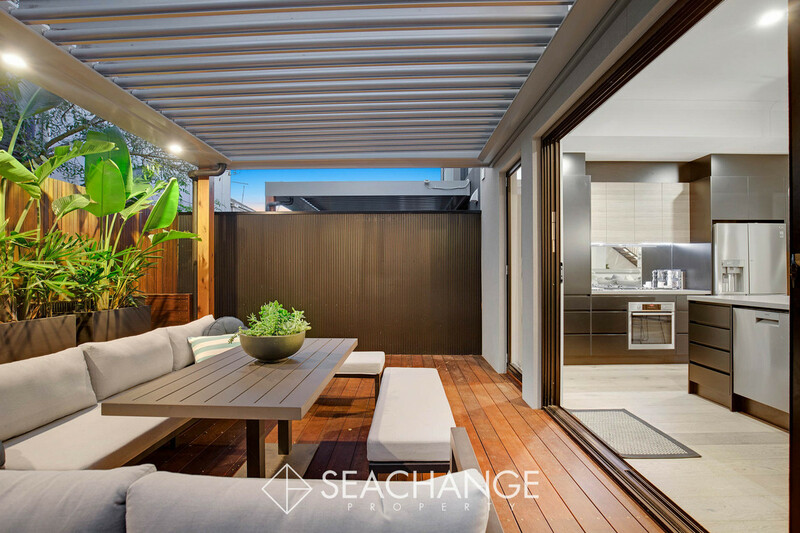 Seamless indoor/outdoor living invited through stacked glass doors showcase the alfresco dining, where a large decking platform with louvred roof provides ample room for entertaining in all weather conditions enhancing the contemporary appeal of the home. 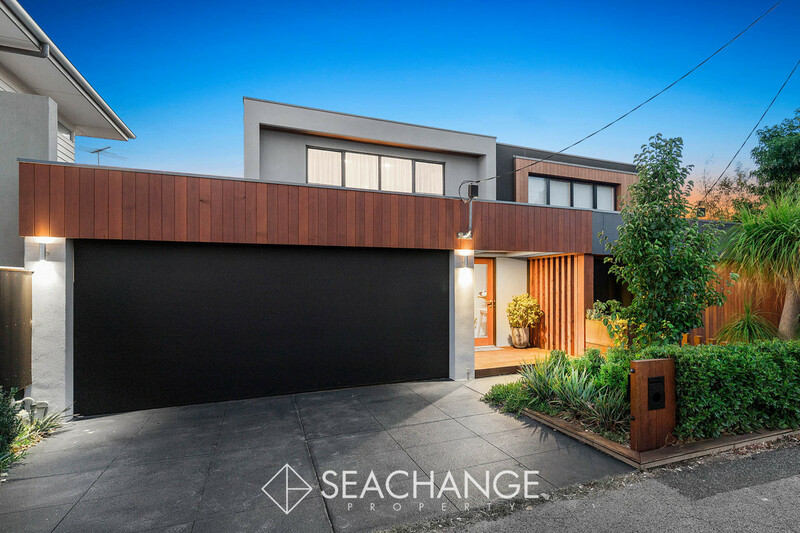 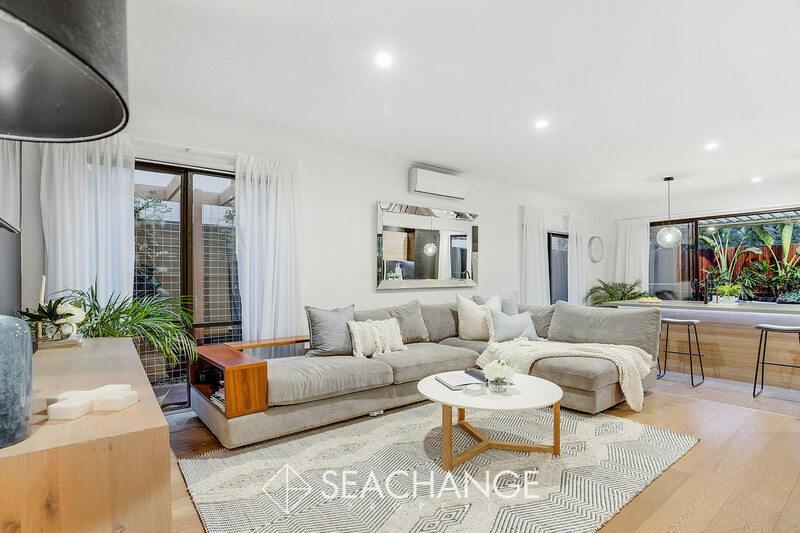 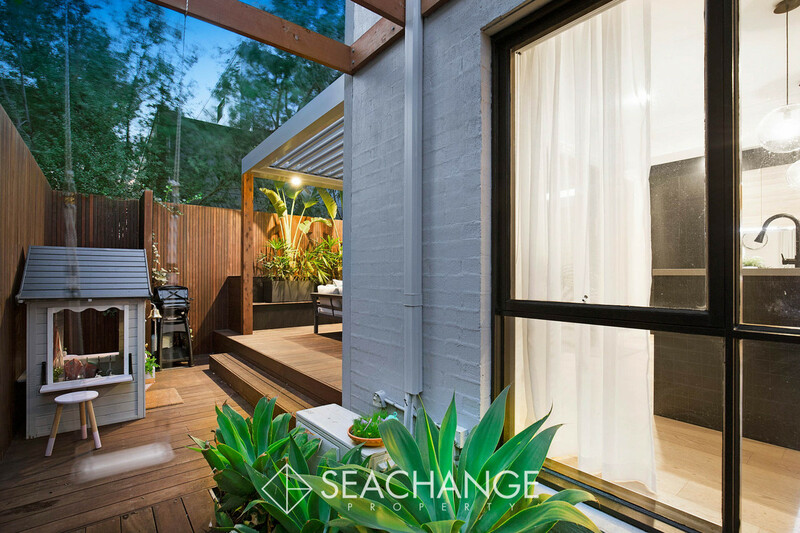 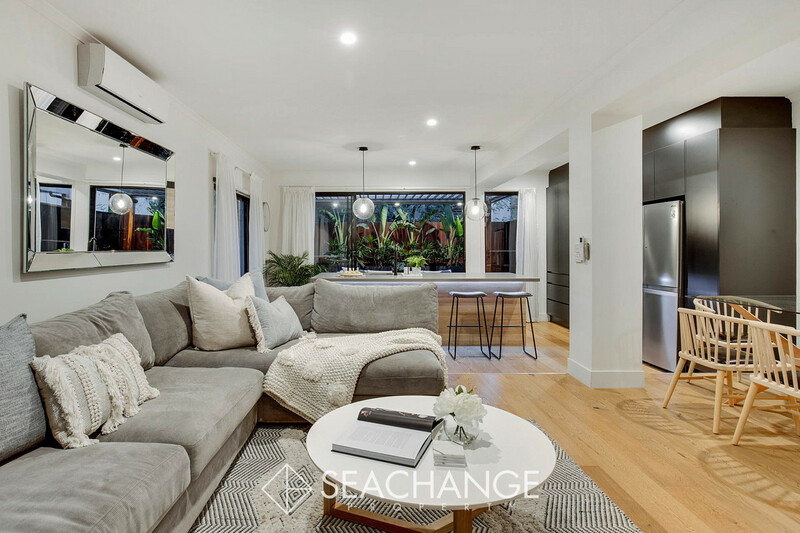 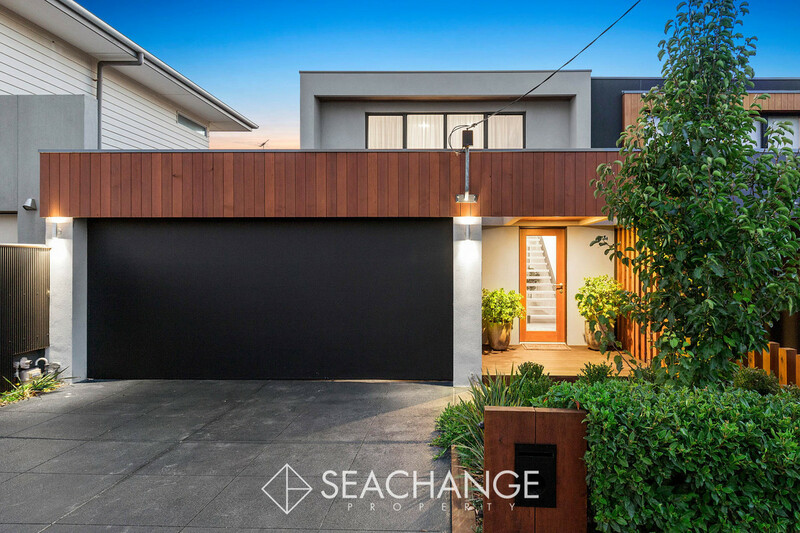 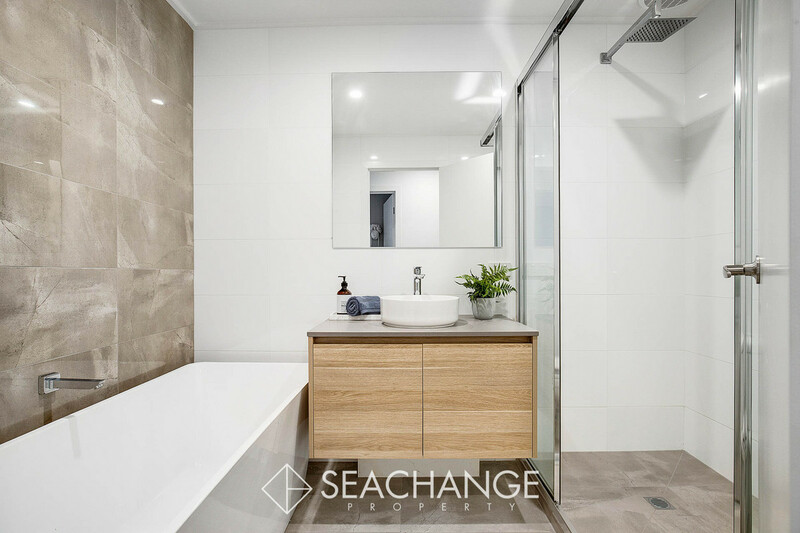 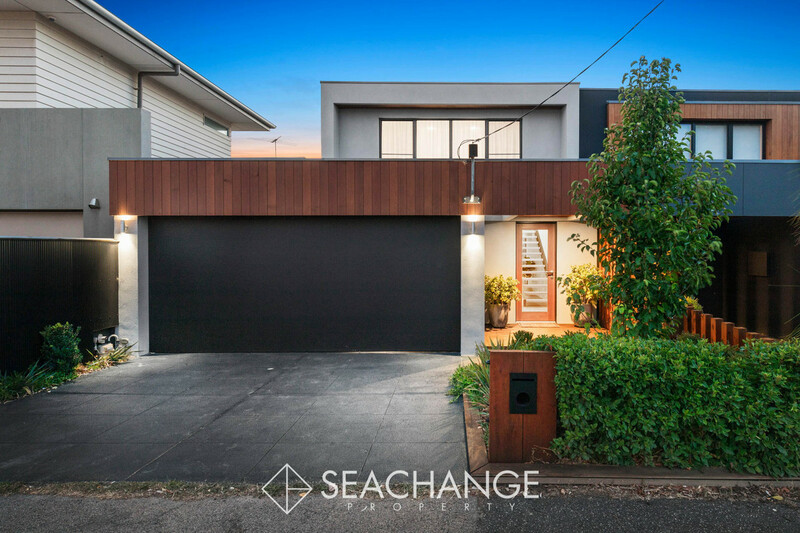 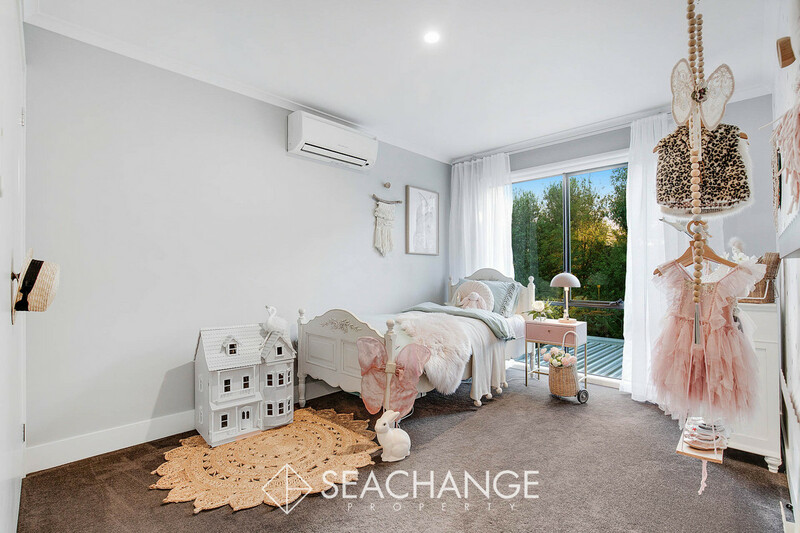 Upstairs, family-zoned accommodation presents two large bedrooms and a striking main bathroom, while a huge master bedroom enjoys a large walk-in robe and fully-tiled ensuite with double floating timber vanity and stone benchtops. 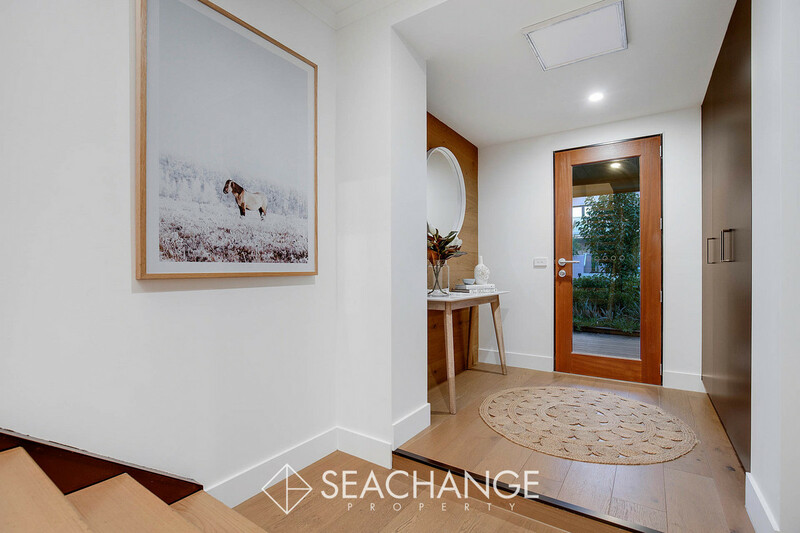 Quality finishes and impeccable design include wide American oak floorboards, split system air-conditioning on both levels, downstairs powder room, laundry, downlights throughout, and double remote garage. 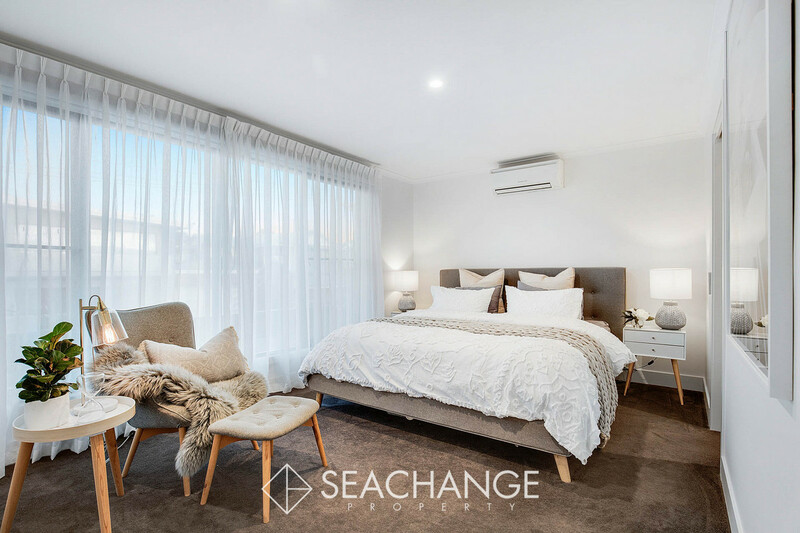 Floor-to-ceiling sheer curtains and plush carpeting offer subtle softness against the earthy tones and timber features while square-set cornices, high ceilings and white walls deliver space and clean interior lines. 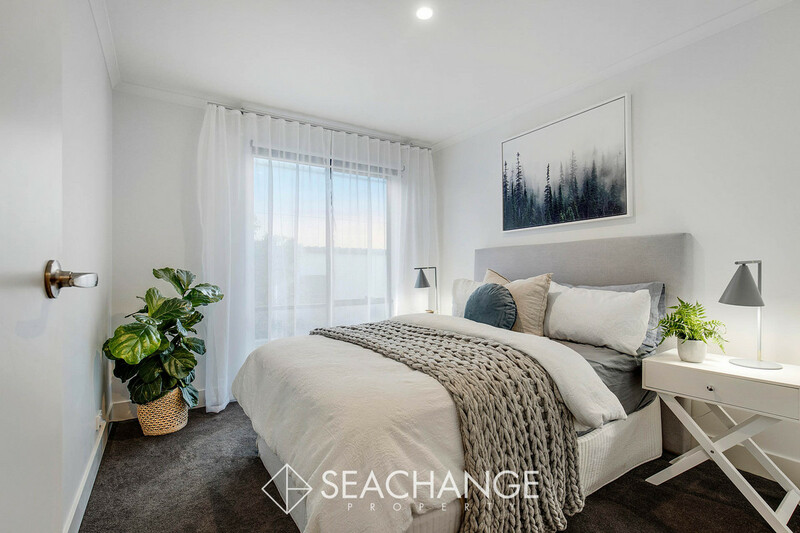 Smell the sea breeze and revel in the essence of beachside Peninsula, located moments to the waters edge, Main Street cafes, restaurants, boutique shopping and stellar schooling options minutes from your door. 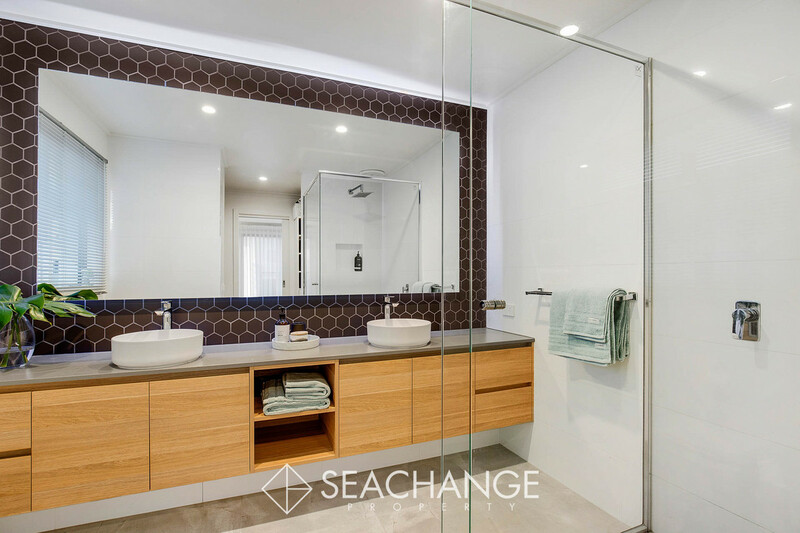 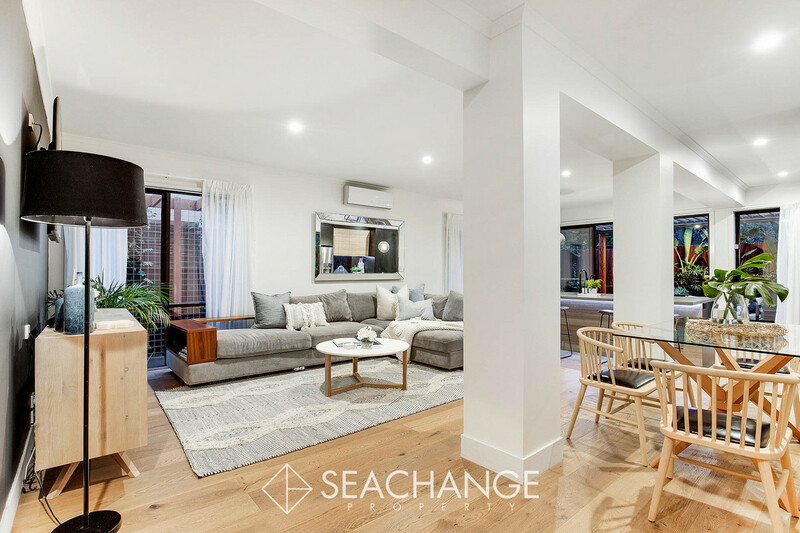 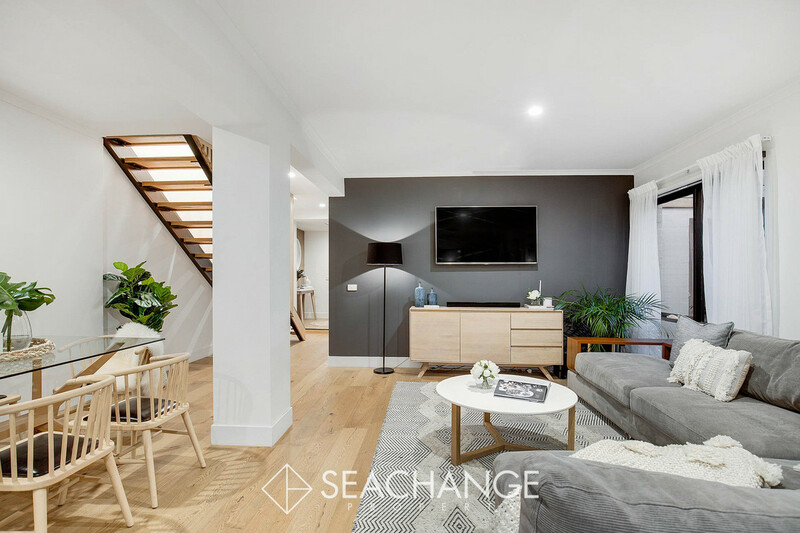 Walk to Fishermans Beach just one street back from the shoreline, get active at the local bowling club or leave the car at home and socialise with friends at nearby Kirks On The Esplanade or The Royal Hotel Mornington.